via Change.org, please sign and share the petition to create an Animal Cruelty Register in the UK. Narla was horrifically beaten by thug Craig McKinley in a shocking video footage that went viral on Facebook. Lake Superior, the largest of the Great Lakes in North America, is being threatened by a HUGE possible pig farm for over 26,000 pigs. Runoff from the farm could pollute Lake Superior — a key source of drinking water for the neighboring city of Ashland. The city’s water security is already strained by beach bacteria. 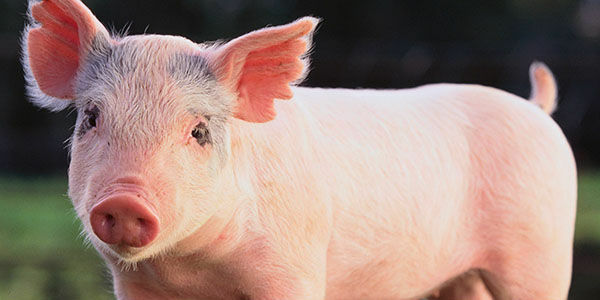 Residents shouldn’t be inconvenienced by the stench of pig waste that can also make them sick. The Wisconsin Department of Natural Resources (DNR) plans to do a full environmental impact study of the possible pig farm; even though the environmental consequences of pig farms are already documented. Next, the agency will ask for the public’s input. But this process will take months. Care2 members don’t have to wait months to voice their opposition. Sign and share this petition NOW demanding that the Wisconsin DNR protects our iconic Lake Superior. Is a piece of a bacon really worth more than a pig’s life of suffering, water for an entire city and the risk of pollution of an iconic freshwater lake? Petition: Don’t Poison Iconic Lake Superior for Bacon. Hearing desperate cries coming from a wooded area nearby, a concerned cabin owner in Milltown, Wisconsin, ventured out to find the snouts of two baby bear cubs sticking out of a hole in a huge cottonwood tree. Unsure as to whether the cubs were truly stuck, the woman decided to return to check on them the next day — and the snouts were still there. After calling the authorities to help, two wardens from the Wisconsin Department of Natural Resources, along with Tammi Larson, who runs a wildlife rehabilitation facility in the area, went to the scene. When they arrived they discovered the pair of bear cubs who appeared to have crawled into the tree, but were unable to crawl out. via Firefighters Save Two Adorable Bear Cubs Trapped Inside a Tree | Care2 Causes. End Animal Testing | PETA.org. While you watch the truly heartbreaking video on Peta’s website, millions of animals – mice, rats, rabbits, primates, cats and dogs – are imprisoned in laboratories. Locked in barren, stainless steel cages, they suffer in pain, ache with loneliness, and long to live their lives with their families in their natural environments. But all they can do is sit and wait in fear for the next terrifying and painful procedure to be performed on them. I cannot imagine living my life like that, can you? You can do all these options in just a few moments of your time – I just did. And it costs you nothing but a few minutes, but imagine the difference it could make to these creatures if we ALL do it. It’s just two minutes to us, but its a LIFE to them. According to a recent report, the Washington Metropolitan Area Transit Authority (WMATA) in Washington, D.C., permits the cruel use of glue traps to ensnare mice and rats on its properties. Glue traps are some of the most dreadful products on the market, causing immense and prolonged suffering. Victims often rip themselves to pieces in their frantic struggles to escape the sticky mess. Exhausted and terrified, they succumb to shock, dehydration, asphyxiation, or blood loss—and death can take days. Nontarget animals such as kittens, chipmunks, and even birds—including protected species—can also fall prey to these vile devices. A school in Burbank, Ohio offers young children “mutton busting” lessons, or instruction on how to ride sheep. The naturally sensitive and easily frightened sheep are chased by frenzied kids, who tug at the sheep’s ears, fur, and tails in an attempt to mount the petrified animals and remain saddled as long as possible. As a result of this sport, sheep sustain bruises and rashes from the aggressive encounters, which serve as nothing but cheap entertainment. via Shut Down Cruel Sheep Rides – ForceChange. Tell the National Football League Foundation to stop lethal experiments on animals! – The Petition Site. Please sign and forward the petition for Better Dairy at the Compassion in World Farming website. Thank you! Europe’s 23 million cows don’t have specific rules to protect their welfare as there are for pigs and hens. I think it’s unfair and I believe we need to show our hard-working dairy cows some love. I want you to use your influence to introduce a specific EU Directive to protect them. The campaign Supporting Better Dairy has a full proposal on the Directive content that I believe you should consider. You can view it at www.happycows.eu/EUDirectiveContent.